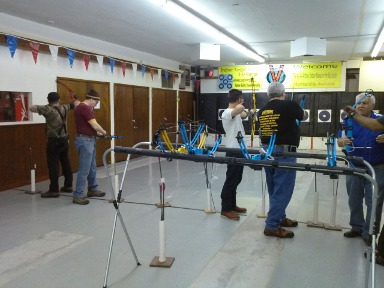 This past Saturday, the NYC chapter of Oath Keepers met on Staten Island and took a 2 hour archery class. As a pool player, I’m very comfortable getting in line but I have to say, shooting a bow and arrow is somewhat unique in that the position of the pulled string plays a big part. 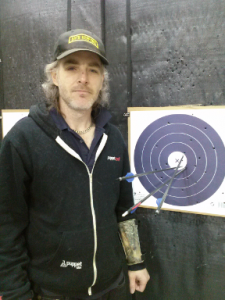 Proper form suggests positioning the middle of the pulled string back to just below the corner of your mouth. 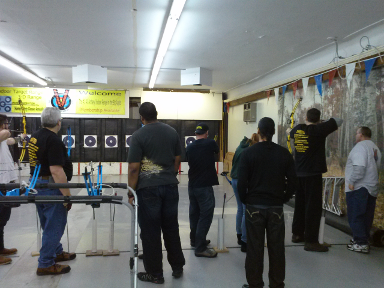 Raising that point will lower your aim while lowering will have the opposite effect. Granted, I’m only 2 hours in and suspect we’re only scratching the surface of solid fundamentals.